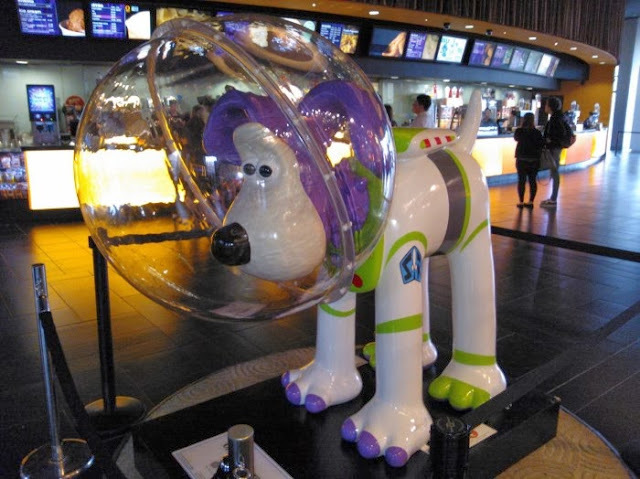 Pixar's creation, Gromit Lightyear, fetches highest price in British charity auction. 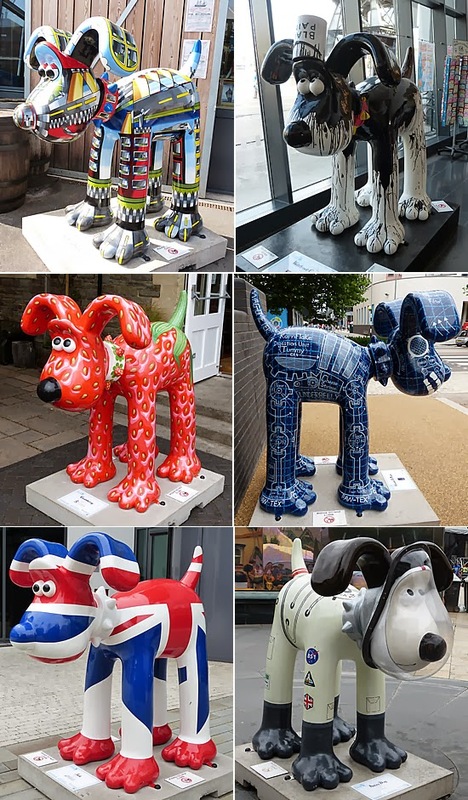 Dozens of sculptures of the chess-playing, Plato-reading pup Gromit, one half of the highly successful animated series Wallace and Gromit, have raised more than £2.3 million ($3.84 million Cdn) at a charity auction to benefit a British hospital. Proceeds of the auction, which took place Thursday, go to the expansion of the Bristol Royal Hospital for Children. 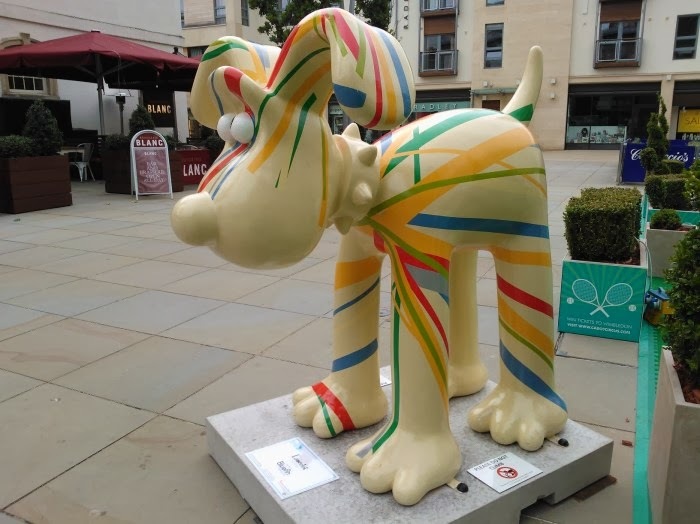 The 81 Gromit doppelgangers, standing about 1.52m high, had largely been on display throughout the city of Bristol this summer, with several also installed at London's Paddington station and at locations in Gloucestershire and Somerset. Each Gromit was decorated by individual artists, including Paul Smith and Quentin Blake, or by companies. 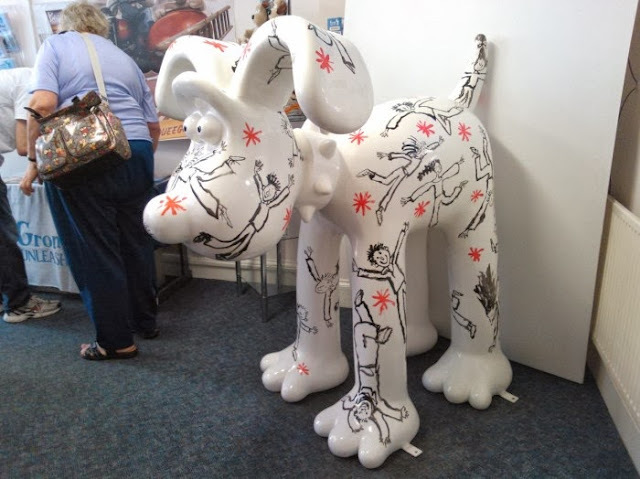 The auction also sold 11 smaller Gromit sculptures. U.S. animation studio Pixar was among the participants, creating a sculpture dubbed Gromit Lightyear that is based on the Toy Storycharacter Buzz Lightyear. Gromit Lightyear fetched the highest price at auction, selling for £65,000 (about $108,400 Cdn). 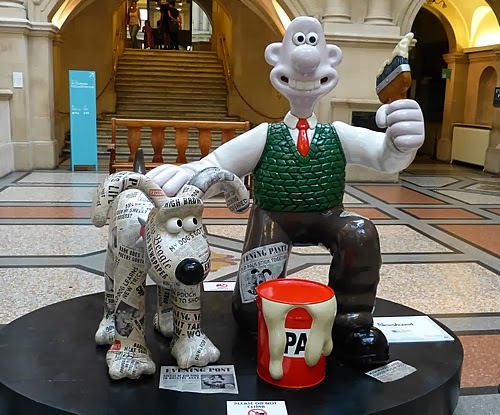 Bristol is home to Aardman Animations, the studio that created the hit stop-motion animatedWallace and Gromitcomedy series, about a cheese-loving inventor and his very intelligent dog (a graduate of “Dogwarts University”). The pair have been the subject of TV specials, four animated shorts and one feature-length film. Two of the shorts, The Wrong Trousers and A Close Shave, as well as the feature, The Curse of the Were-Rabbit, all received Academy Awards. Wallace and Gromit creator Nick Parks told the BBC he was “stunned” by the success of the auction. 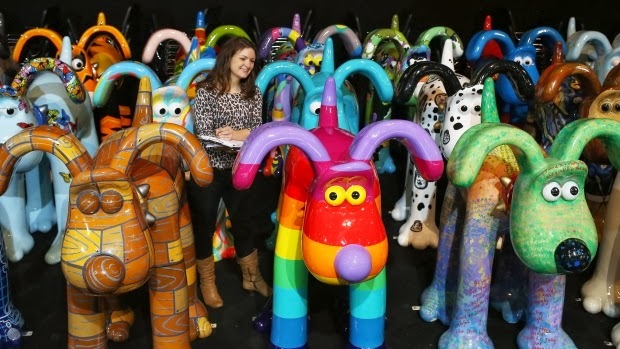 The Greatest Dog Show On Earth, a pre-auction display of the Gromit sculptures, drew crowds of about 22,000 to Bristol. The 80 sculptures can be seen here.